ACE SmartDome – Astronomical Consultants & Equipment, Inc. 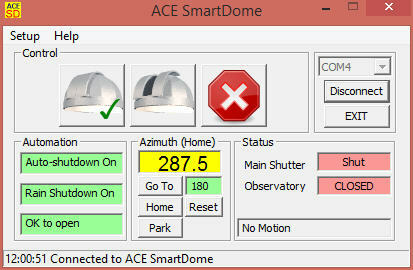 The ACE SmartDome is a professional industrial control system for automating a telescope enclosure. It has numerous advanced features demanded by large professional observatories.